In 1931 William Walton blew British choral music sky-high. Big, brassy and shamelessly savage, Belshazzar’s Feast shocked audiences back then, and it still knocks you backwards today. 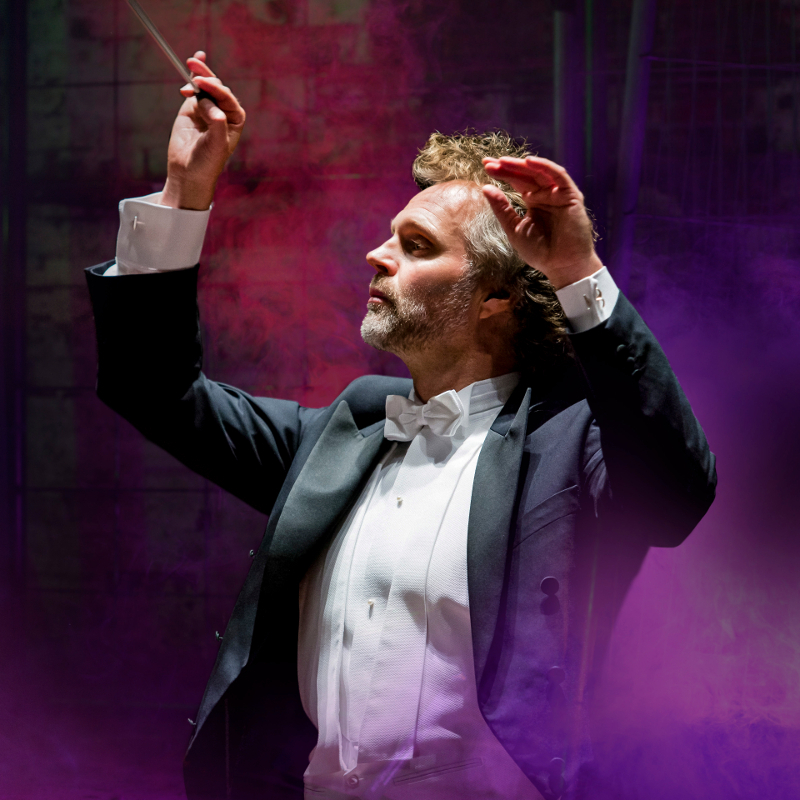 It’s an electrifying way to end Thomas Søndergård’s first Season as Music Director, but he’s got a couple more surprises up his sleeve: Sibelius’ atmospheric take on the same biblical tale, and Elgar’s Cello Concerto. You’ll have heard it before – but not the way Truls Mørk plays it! 6.45PM: Bill Chandler (RSNO Director of Artistic Planning and Engagement) in conversation with Thomas Søndergård (RSNO Music Director) in the Upper Circle Bar. 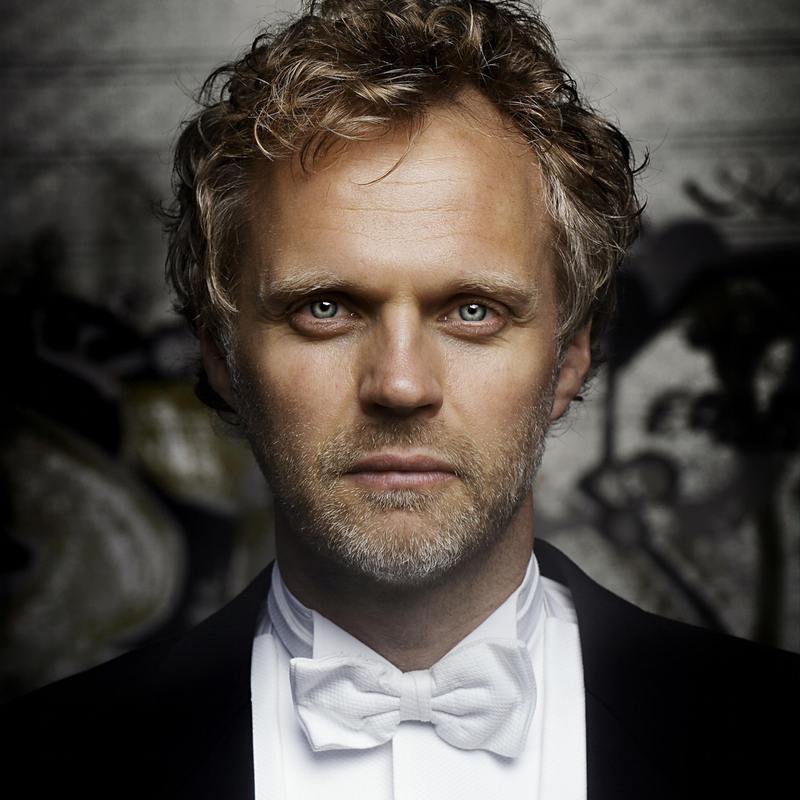 During the 2017/18 season, Truls Mørk returns to Orchestre National de France and to the Czech Philharmonic. The season also includes Grafenegg Festival and a tour of Switzerland, a performance at Carnegie Hall in New York together with the Orpheus Chamber Orchestra, and he will appear in three performances in Salzburg as part of the Helsinki Philharmonic Orchestra’s residency under Susanna Mälkki. He continues to give regular recitals at major venues and festivals throughout the world. He has recently developed a collaboration with Behzod Abduraimov which will see them perform on tour in the US and Europe. 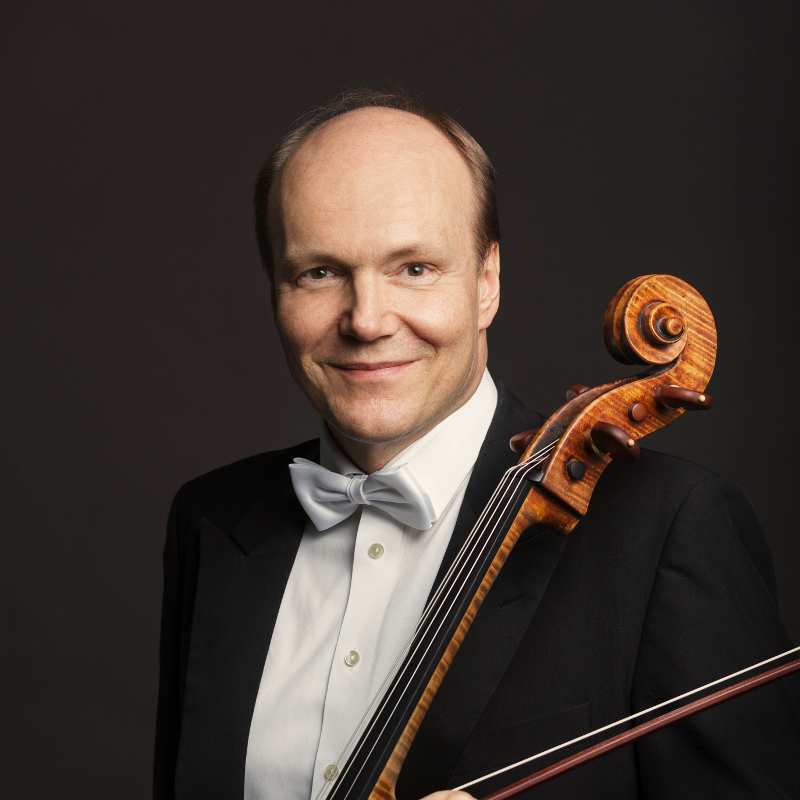 With an impressive recording output, Truls Mørk has recorded many of the great cello concertos many of which have won international awards including Gramophone, Grammy, Midem and ECHO Klassik awards.His most recent recordings include Shostakovich’s Concertos with the Oslo Philharmonic Orchestra/Vasily Petrenko, works for cello and orchestra by Massenet with the Orchestre de la Suisse Romande/Neeme Järvi and the Saint-Saens Concertos together with the Bergen Philharmonic Orchestra/Neeme Järvi. 2017 BBC Cardiff Singer of the World main prize finalist, baritone Anthony Clark Evans returns to Lyric Opera of Chicago in the 2017 – 2018 season as Riccardo in I Puritani, opposite Larry Brownlee. Mr. Evans also makes an appearance on the annual Richard Tucker Gala at Carnegie Hall, as well as a soloist in Angela Rice’s Easter Oratorio Thy Will be Done with the National Chorale at David Geffen Hall. The 2016 – 2017 season saw Mr. Evans’ debut with the Metropolitan Opera as the Huntsman in the new Mary Zimmerman production of Rusalka, which was broadcast to theatres around the world as part of the Met’s Live in HD program. Mr. Evans also made his San Francisco Opera debut as Sharpless in the Jun Kaneko production of Madama Butterfly. Operatic highlights include Mr. Evans’ debut with Lyric Opera of Chicago as Montano in Otello, San Diego Opera debut as Sharpless in Madama Butterfly, and his debut with Opera Theatre of St Louis as Marcello in La Bohème. Additional roles at Lyric Opera of Chicago include the Jailer in Tosca (covering Sacristan), Yamadori (covering Sharpless) in Madama Butterfly, the Hunter (covering Gamekeeper) in Rusalka, creating the role of Simon Thibault in the world premiere of Bel Canto, and covers of Leporello in Don Giovanni, Count in Le nozze di Figaro, Count in Capriccio and Wolfram in Tannhäuser. Concert work includes his Ravinia Festival debut singing in Bernstein’s Songfest with Ensemble dal Niente, Theatre Director in Les Mamelles de Tirésias with the Chicago Civic Orchestra, and an appearance on the “Stars of Lyric Opera at Millennium Park” concert, conducted by Sir Andrew Davis. Honors and awards include a Grand Finals Winner of the 2012 Metropolitan Opera National Council Auditions, a 2017 Richard Tucker career grand, a 2014 Sarah Tucker Career Grant, and top prizes in the Gerda Lissner Foundation Competition, the Licia Albanese-Puccini Foundation Competition, Dallas Opera Guild Vocal Competition, Marcello Giordani Competition, Giulio Gari Competition, and the Mario Lanza Competition. Mr. Evans took second prize in both the Liderkranz Foundation Competition and the Opera Index Competition, as well as prizes from the Sullivan Foundation, the Luminarts Fellowship, and the American Opera Society. 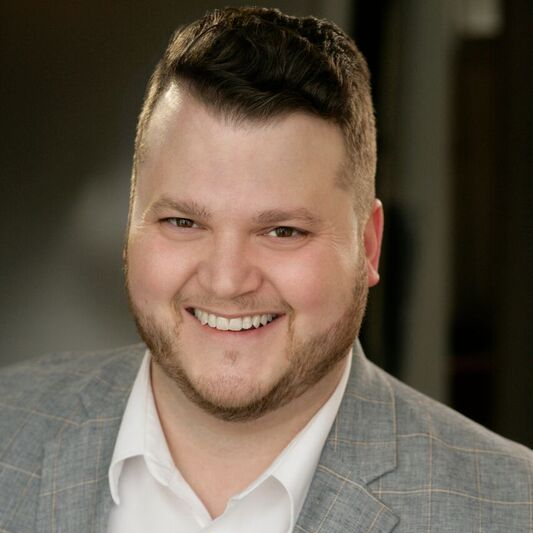 A native of Owensboro, Kentucky, Mr. Evans studied voice at Murray State University in Murray, Kentucky, and was a member of the Ryan Opera Center at Lyric Opera of Chicago. Mr. Evans currently resides in Elizabethtown, Kentucky. The RSNO Chorus performs in around six different programmes in up to twenty concerts across Scotland with the Royal Scottish National Orchestra each year. The RSNO Chorus has also had great success in recording with the Orchestra. Its recordings, amongst others, of Prokofiev’s Alexander Nevsky, conducted by Neeme J?rvi, and Holst’s The Planets, conducted by David Lloyd-Jones, have both been subject to high critical acclaim. In addition to its commitment to the Orchestra, the RSNO Chorus performs independently and has been invited to perform with orchestras in many different parts of the world, establishing an international status for the choir. The RSNO Chorus has toured in Copenhagen, Hong Kong, Israel, Germany, Belfast, Australia, Trondheim and most recently, Amsterdam. 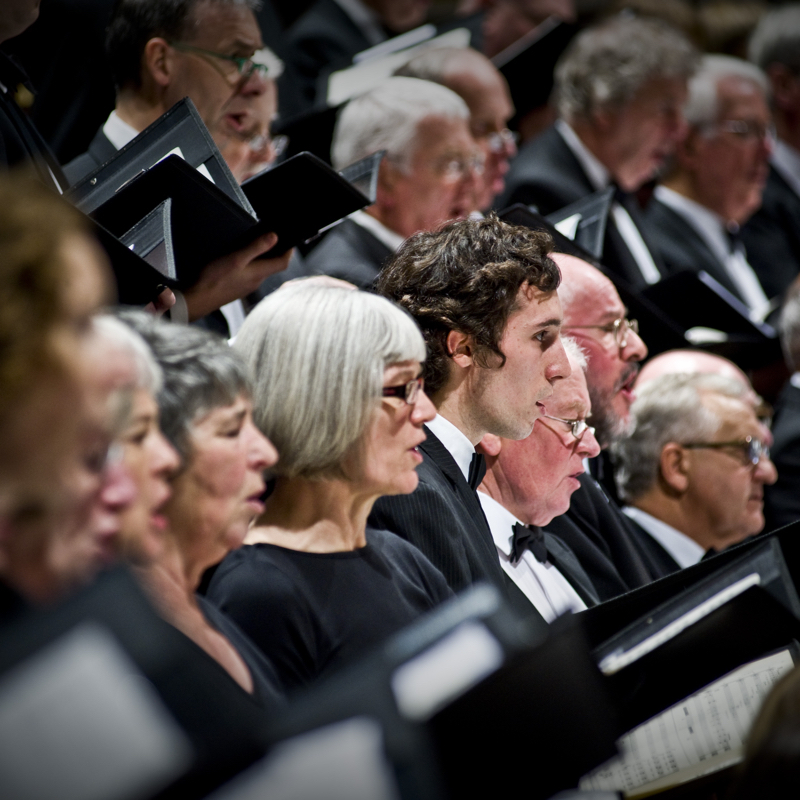 The RSNO Chorus evolved from a choir formed in 1843 to sing the first full performance of Handel’s Messiah in Scotland. Today, the RSNO Chorus is one of the most successful choruses in the UK. In recent years, the Chorus has performed practically every work in the standard choral repertoire along with contemporary works by renowned composers, including John Adams, Magnus Lindberg, Howard Shore and James MacMillan. The RSNO Chorus is directed by Gregory Batsleer, one of the UK’s most dynamic and in demand choral conductors and chorus masters. Gregory recently received The Arts Foundation Award 2015 for Choral Conducting.